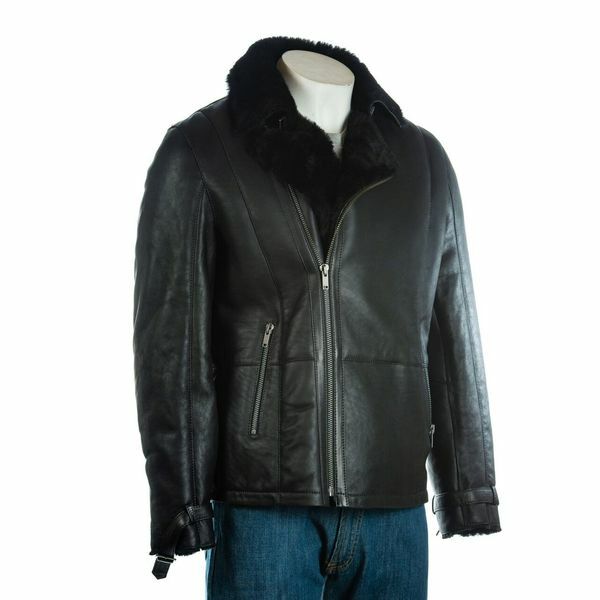 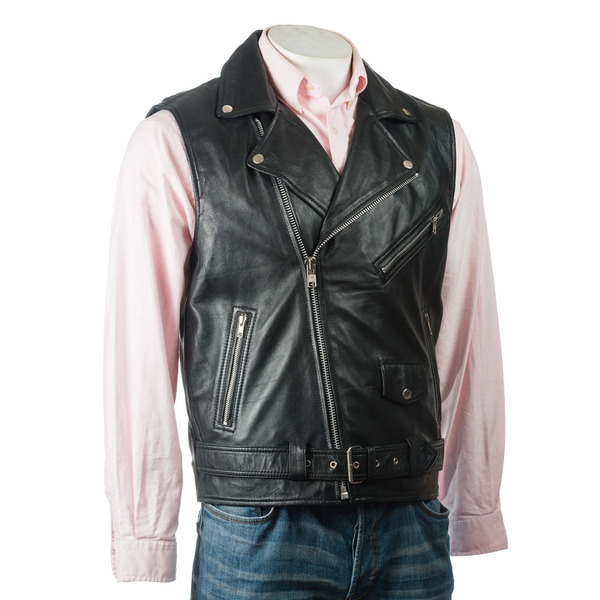 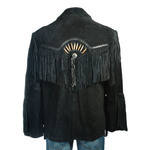 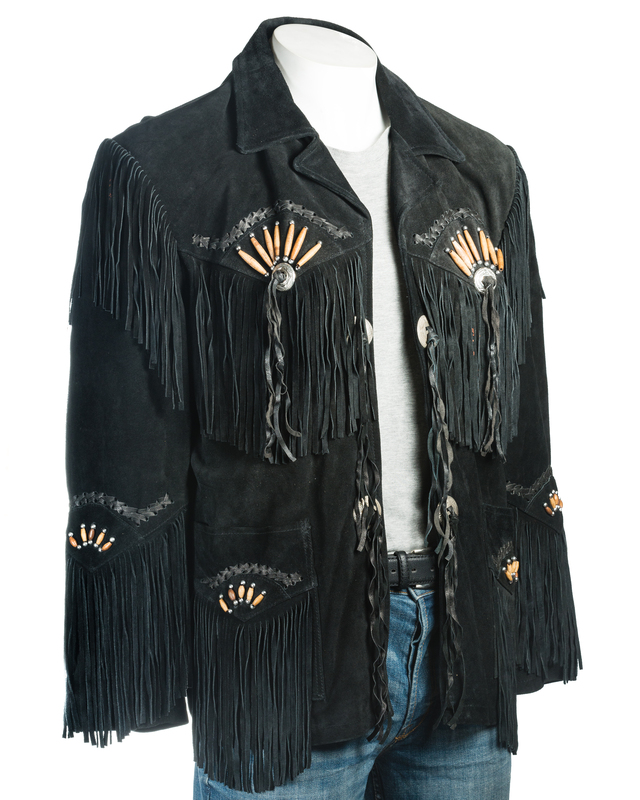 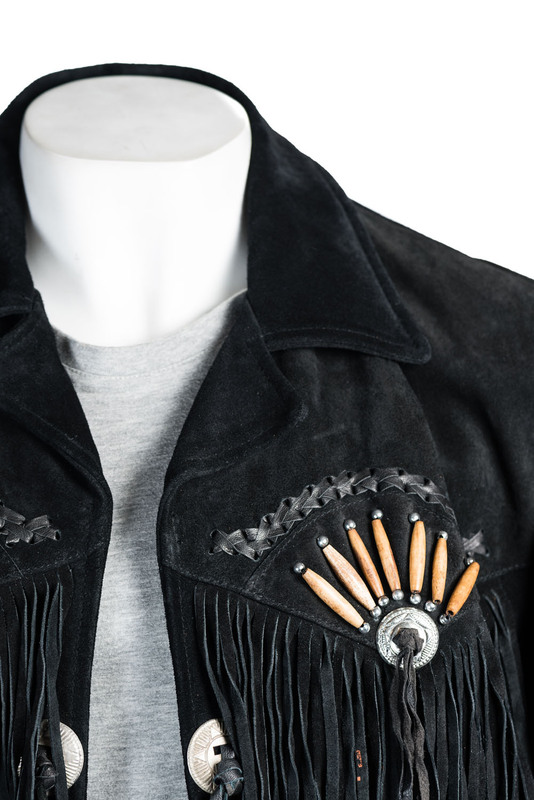 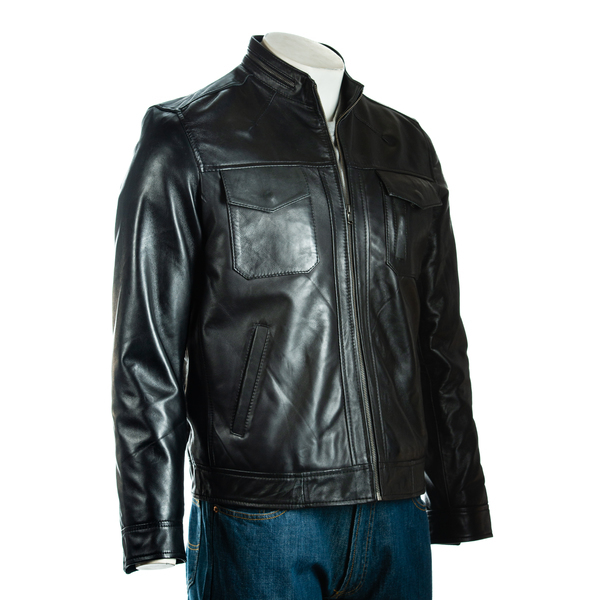 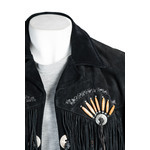 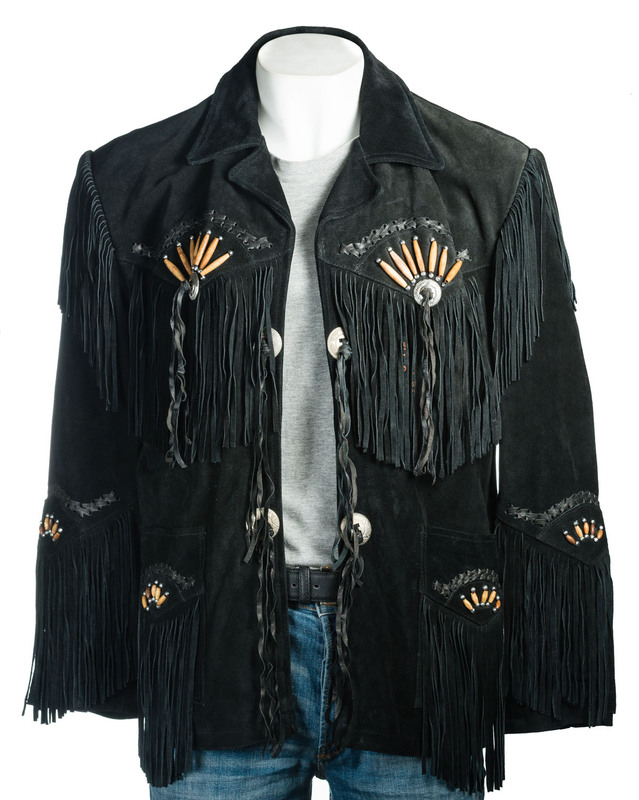 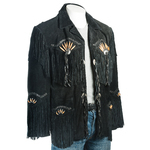 This is a charming, stylish and beautifully detailed suede native American western style jacket. 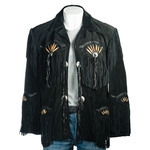 Fringing and beading adorns the chest, shoulders and pockets, and also across the upper back. 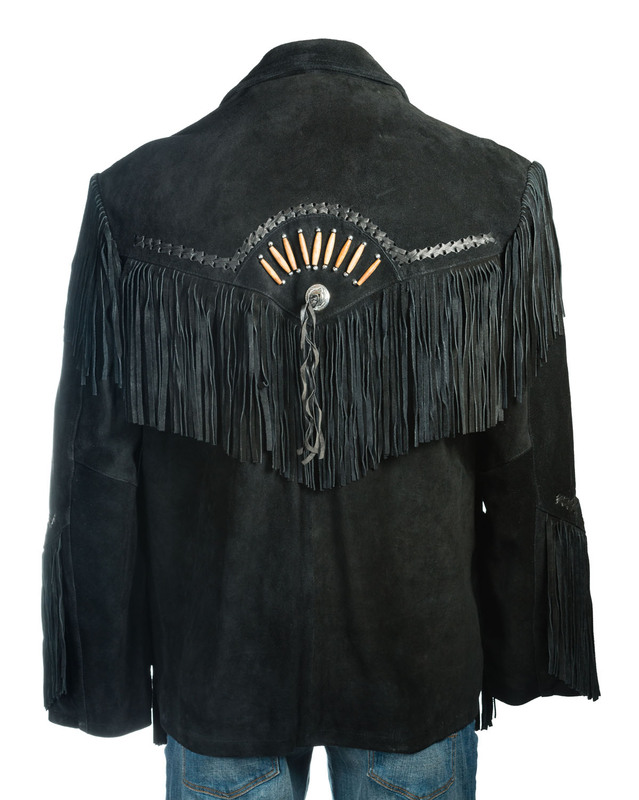 Make a statement in this unique number.